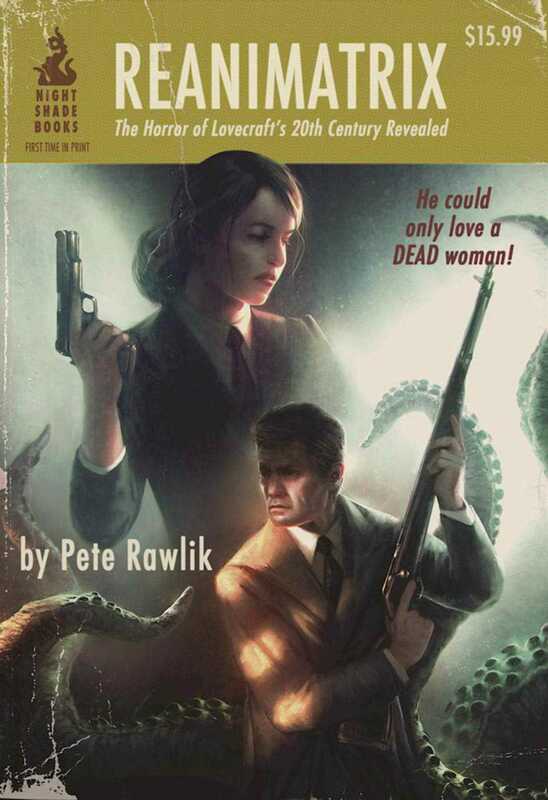 An obsessed detective on the trail on a murdered young woman finds more than he bargained for in this tale of hard-boiled cosmic horror, an inventive mash-up of the pulp detective story and Lovecraftian terror. Some say the war drove Robert Peaslee mad. Others suggest that given what happened to his father, madness was inevitable. He’s spent years trying to forget the monsters that haunt his dreams, but now has returned to witch-haunted Arkham to do the only job that he’s qualified for, handling the crimes other cops would prefer to never talk about. He’s the hero Arkham doesn’t even know it has. Megan Halsey is dead, her body missing. She might have been one of the richest young women in Arkham, but all that money couldn’t make her happy. Word on the street is that her mother split a long time ago, and Megan had spent a lot of her money trying to find her. Peaslee soon becomes obsessed with the murdered Megan. Retracing the steps of her own investigation, traveling from Arkham to Dunwich, and even to the outskirts of Innsmouth, he will learn more about Megan and Arkham than he should, and discover things about himself that he’d tried to bury. It’s 1928, and in the Miskatonic River Valley, women give birth to monsters and gods walk the hills. Robert Peaslee will soon learn the hard way that some things are better left undead.